If you're thinking about travelling to Beijing - and I highly recommend that you do! - I think that I have some tips that will come in very handy. I did my fair share of research before traveling, but there were still many things that surprised me. Read over my list of the 10 Things I Wish I Knew Before Traveling to Beijing, which I promise will make you more comfortable and prepared for your Beijing travels! 1. Write your hotel name in both English and Mandarin for your taxi driver. Also include your hotels phone number in case your driver needs to call for directions. Don’t ride in black cabs – they aren’t legit and they might rip you off. 2. BYOTP – Bring your own toilet paper – Most public restrooms do not provide toilet paper, so pop a roll in your backpack! Star-rated washrooms in Forbidden City! 3. If you’re white, prepare to be stared at. I was stared at everywhere we went. No, I’m not trying to flatter myself, I’m just telling the truth! Lighter skin is valued in China, so by default I was held on a pedestal. I had women asking to take pictures with me several times throughout our trip, even on the Great Wall! I was told that I looked like an American movie star by several women. You also won’t see very many races other than Asian, at least we didn’t. We would maybe see one or two other white couples every day, but that’s about it! Dylan taking pictures of me taking pictures with these lovely ladies! 4. Tipping is not expected. You don’t have to tip at restaurants, in taxis, or anywhere else. In fact, offering a tip might be seen as disrespectful, since it isn’t part of the culture (and it’s actually illegal in some parts of China). 5. Facebook and Twitter are banned. Yes, seriously. China has very strict internet bans, and many social media sites are restricted. I’ve heard that there are ways to get around the restrictions, but honestly it’s just not worth it! You don’t want to risk breaking the law in a foreign country just to update your Facebook status! However, Instagram is permitted, and you can set your photos to auto-post to your Facebook and Twitter accounts. 6. 1 Canadian dollar equals 5.78 Chinese Yuan. Seriously, memorize this, or figure out the conversion rate for your local currency! During our first day in Beijing I kept forgetting the conversion rate, which can really throw you off budget. 7. Barter, barter, barter! If you don’t barter, you’re paying too much. Dylan and I were wanting to buy a pair of sunglasses, and we were told that the price was 600 Yuan ($103 CAD). Dylan came back with an offer of 50 Yuan, and the shop owner then gave us a price of 60 Yuan ($10.38 CAD). If you look like a foreigner, the sellers are going to try to rip you off. Come back with a super low price, and try to meet somewhere that you feel comfortable with. The sellers will use a calculator to punch in their price, and you can come back with your price in the same way – nothing will get lost in translation! 8. Sales get pushy. People will always be trying to sell you something – whether it’s in Panjiayuan Market, a mall, or simply walking down the street. If you even make eye contact with someone in a shop, they assume they’ve got your business. If you’re not in the mood to buy, just keep on walking – the concept of browsing and window shopping didn’t seem to exist in Beijing. 9. English menus. If you go into a fast food restaurant (we went to McDonald’s and KFC), and you look like a foreigner (i.e. white, etc. 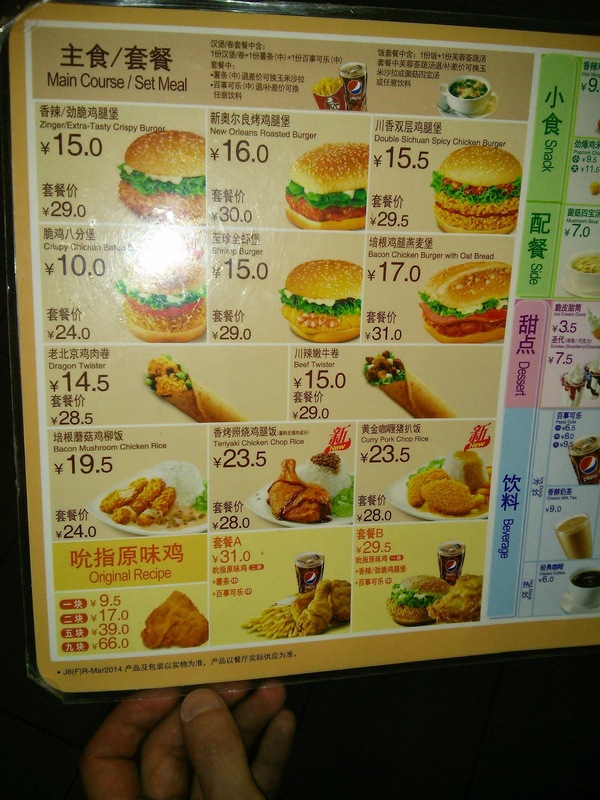 ), you’ll be given a small English menu. These plastic menus are normally kept by the registers, and if you’re not offered one you can walk up and take one yourself. 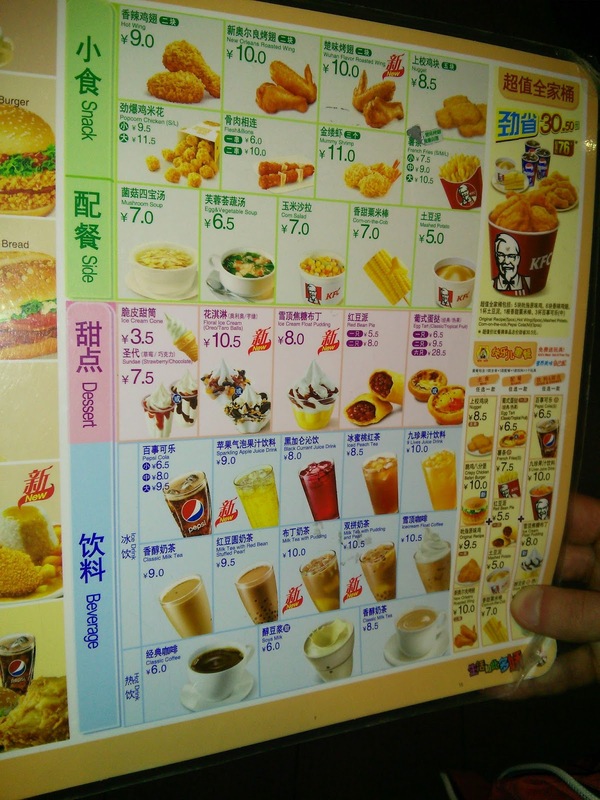 These English menus were such a lifesaver, as you could figure out what you wanted, and then just point to the items on the menu. The McDonald's Taro Pie was a serious must try - so yummy! 10. Learn a few key phrases. We found that we only really needed 3 phrases to get by – thank you, no thank you, and hello. No thank you = bu xie xie, pronounced boo shee-a shee-a. This phrase is vital for fighting off persistent vendors. Hello = Ni hao, pronounced nee how. If you only know these three phrases, I think you’ll be okay (we were at least!). So there you have it, my ten tips that I wish that I knew before I traveled to Beijing, China! Overall, Beijing is a beautiful city with a ton of friendly people. Dylan and I both had an incredible experience in this gorgeous city, and we’re already wanting to go back. I learned these tips along the way, which made for some very fun adventures! Have you visited Beijing before? What would your travel tips be to someone who’s visiting the city for the first time? omg those asian ladies in your pic lolz,sooo funny, I didn't know that was a thing haha, you must have felt like a star! Haha! I know, it was really weird getting all that attention! So inspired to get up and go somewhere! I can't wait to document all the giant bugs I will see in Australia. Thanks Julie! I can't wait to hear about your Australian adventures, it's very high on my travel wish list! hahah yes to bring your own toilet paper. ITS SO TRUE!!! sometimes they'll have a roll by the sink which everyone can take from and use while their in the stall but thats not a garentee..
and yes for the bargainning. this is when it helps to be asian 'cause they dont jack up the price as much and will go deeper into the discount if you speak chinese. when david and i were in china, we mostly ate in chinese restaurants but since i can't read chinese, we really had to rely on photos and point at things at random. this mean we ended up with a really spice eel dish one night...not the most deliciosu. i can't handle intense spice and chinese prepared eel is way more effort to eat than its worth. i let david finish it off and i bought a $1 bun off a street vendor for dinner. and yes to the mcdonalds. i like trying all the different mcD's things in different countries. thailand has pineapple pies!! One restaurant we went to even had two sides of toilets - one Asian and one American! When did you go to China? I found that most restaurants had simple English translations on the menus, but this might be a recent change because of the Olympics. i went last year. we went to beijing and shanghai. we tried to eat where it seemed most authentic? and we walked along very randomly so basically popped into ppls neighbourhoods where tourists aren't likely to go. You're giving me serious wanderlust!! Also, that taro pie sounds strangely good! Whilst I don't know if I'll ever be lucky to follow you in your travels this was such a helpful post and one I'd definitely refer to should I book a trip. Those are very handy tips! I knew a few of those tips, just because some of my family use to live in China, but I learned plenty of new things! Oh that's too funny! The blonde hair would definitely attract a ton of attention! Omg they have those same taro pies in Hawaii too! SO GOOD. Travel diaries play an important role in the travelling and also in the memory of the love during the travelling and i also do like this at that time tour of US bus from nyc to indianapolis..